Yesterday a pleasant sunny November day welcomed us in Norwich for some shopping and some time observing bus activity. After lunch, and with the better half shopping in Primani and elsewhere, I made my way to Castle Meadow for some photos and I immediately stumbled across Konectbus 600 (SN10CFD) on a Thickthorn Park & Ride service advertising the Radio Norwich Breakfast Show. 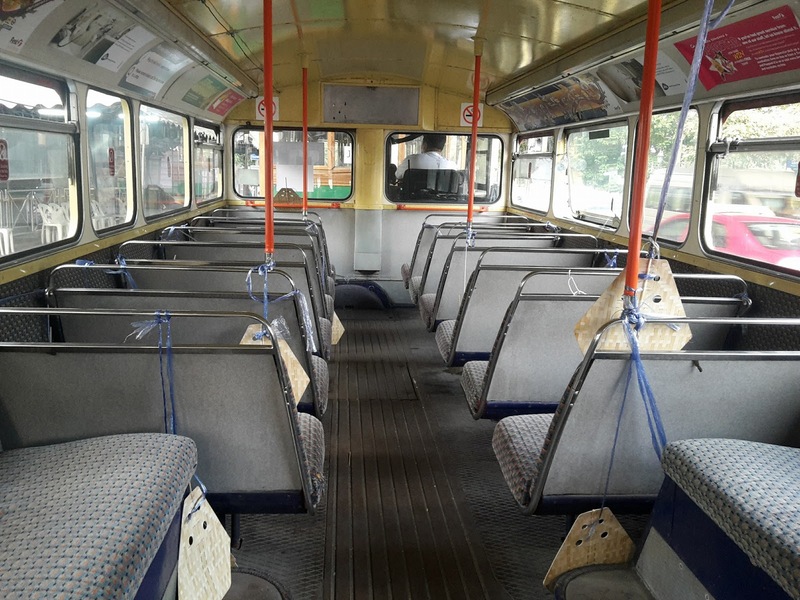 With rumours circulating that the present incumbent may be on the move, this bus could be a candidate for an early relivery/repaint I would have thought! Following closely behind was Sanders Coaches LJ53NHN, one of three ex-London VDL DB250LF Wright Pulsar-Geminis acquired by the North Norfolk independent late last year. From the presence of the X55 sticker in the window, I assume it is still awaiting its destination equipment. After over a fortnight without publishing one, a second Eastern Traffic Commissioner's Notices and Proceedings Report has appeared on the Government's website today - in keeping with the old saying 'you wait a while for a bus and then two arrive together'! 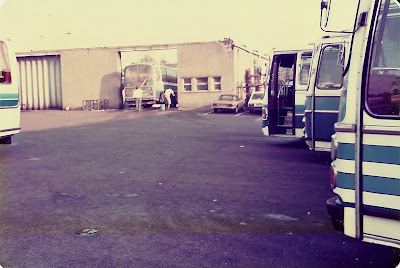 They were of Dhillon of London's Van Hool TX25 Astromega registered DN16LON which he saw in Southtown Road. I also saw it returning home on the A47 Acle New Road as it was getting dark with its company name illuminated on the front. 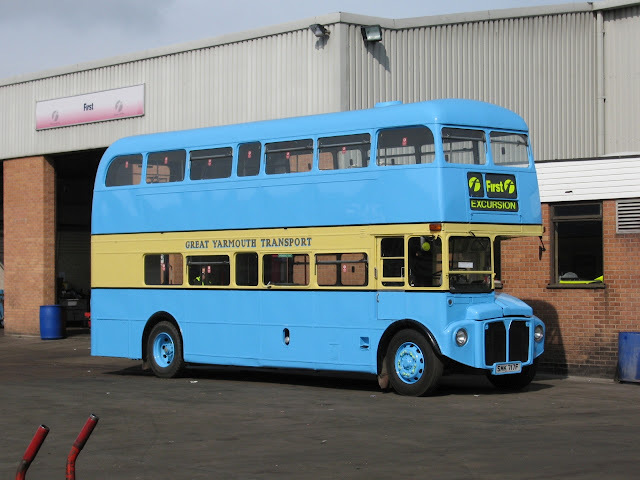 Today's update on the Anglianbus website does not even include it in the 'Withdrawn' category but the updated fleetlist on the Hedingham website reveals the vehicle as now being part of their fleet! Alfred Blackbourn, was born in Cleethorpes but spent the major part of his life living in the Great Yarmouth area. He was best known locally for his role in the family business Norfolk Motor Services which operated across the county. 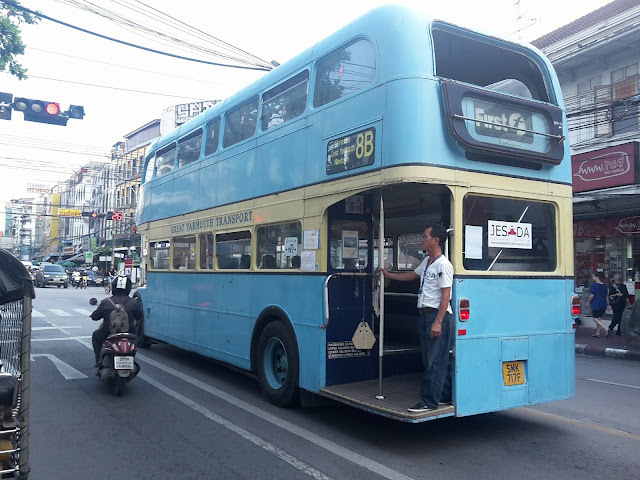 A recent post on Facebook by George Holland has revealed that a certain member of Yarmouth's Transport history is still going strong in Asia and still wearing a certain "questionable" livery from its time in Norfolk. Former London Transport RML SMK717F was transferred to First Eastern Counties in 2006 along with two others, JJD480D & NML623E. All three were repainted into special liveries showing past operators in the area. 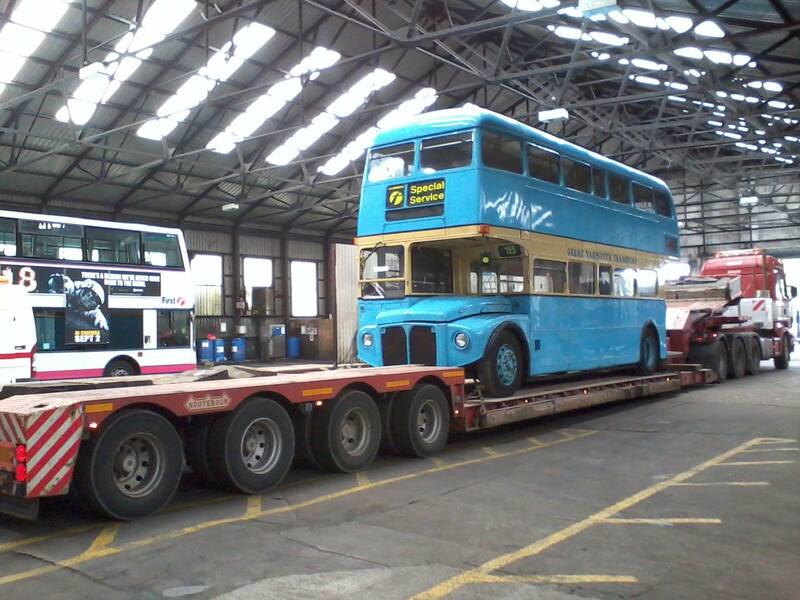 SMK717F was treated to a suspect version of Great Yarmouth Blue & Cream colours at Roundtree Way Depot in Norwich. All three saw service on FEC's Coastmaster 5 service linking Yarmouth with Cromer & Sheringham in 2006 and working the summer 3 service between the town and Hemsby after that. SMK717F was withdrawn after the 2011 summer season and i believe was then purchased by a museum in Glasgow initially before ending up in rather an unusual location. 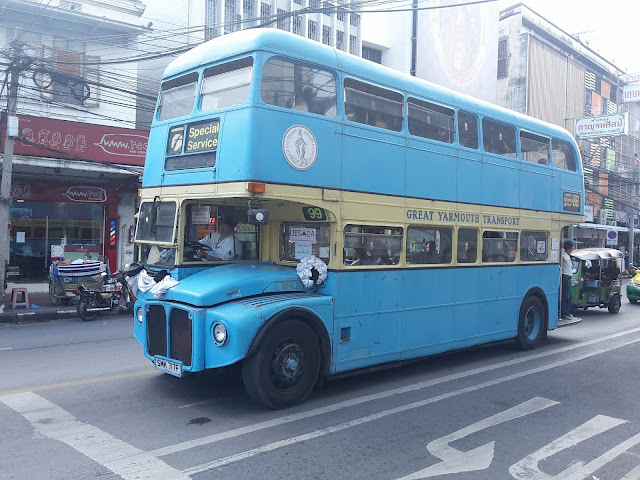 This is where the story continues today and safe to say SMK is alive and well and still carrying passengers on the other side of the world in Bangkok, Thailand. George has kindly allowed us to share some of his photos of the Routemaster whilst in Bangkok last week. It now lives at the Jetsada Museum in Nakon Pathom, it was being used to ferry people to the Royal Palace in Bangkok due to the passing of the King of Thailand, the photo above shows the wooden paddles tied to the seats to act as fans for passengers, no aircon on a Routemaster! Many Thanks to George for allowing us to use the photographs and to regular contributor Des Speed for his also. 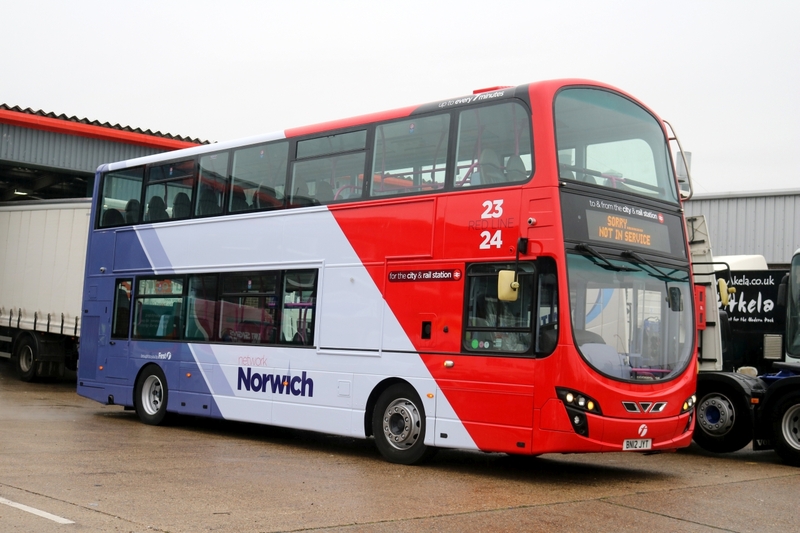 The final route for Norwich to gain its new liveried vehicles is the Red Line for services 23 & 24. 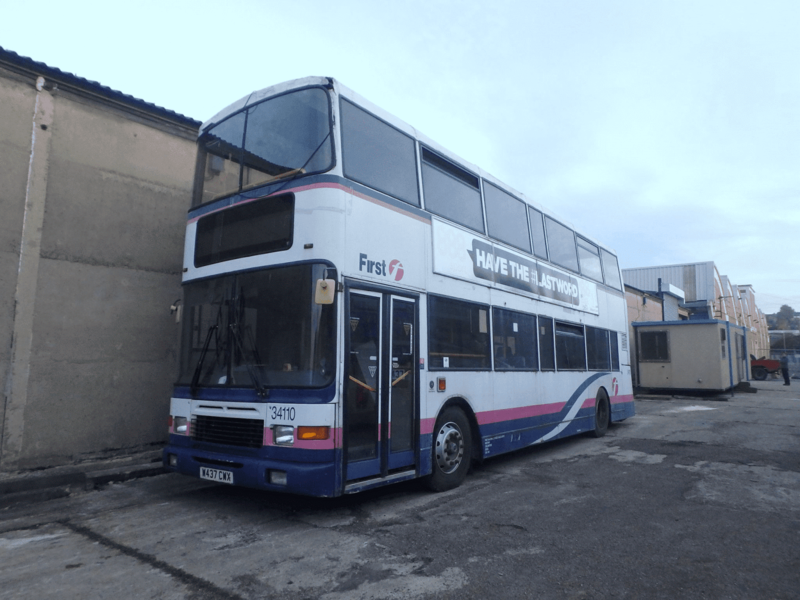 Former First Leeds Volvo B9 36193 BN12JYT has gained the new colours at Simon Morris in Ipswich and was delivered back to Norwich today. 36193 at Simon Morris about to Leave for Norwich. Two more vehicles are currently at Simon Morris also for Red Line colours, 36189 (BN12JYO) and 36192 (BN12JYS). Other News from today sees Driver Training Coach 20122 (P732NVG) withdrawn from use and has been moved to Yarmouth for storage. 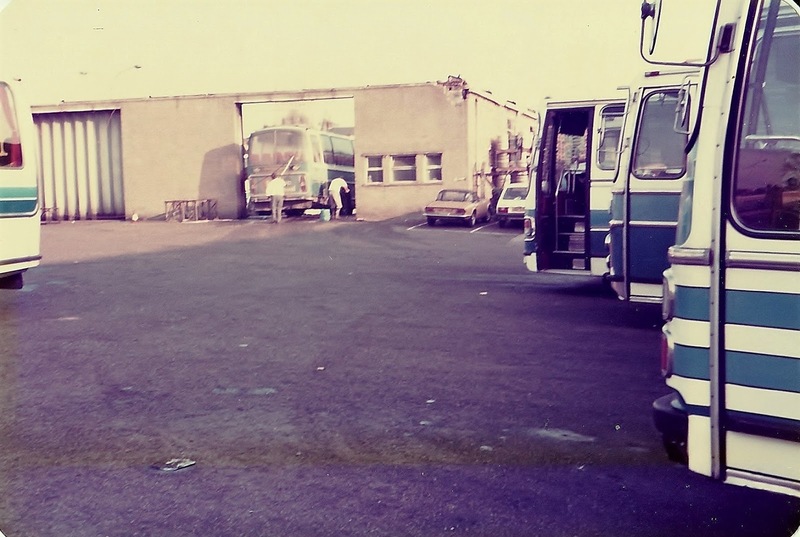 This of course was one of the original Coaches purchased for use on the Excel services when first introduced. It joins the rest of the current FEC Coach fleet with 20500/20501/20514 & 20515 all currently residing at Caister Road. Thanks to David Warren for the photo and Danny Beales for the updates. 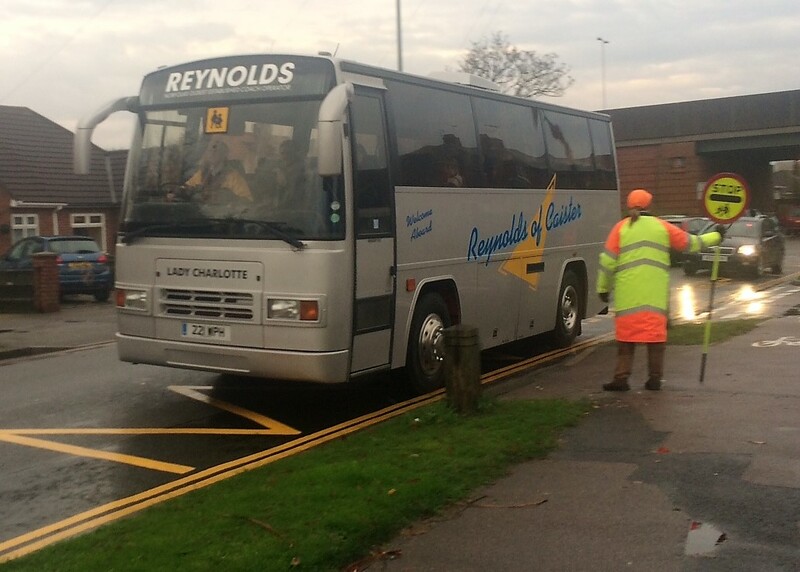 Previously, Our Bus Optare Solo MX58AAY arrived off a schools duty to work the Mondays only 293 route to Wroxham. 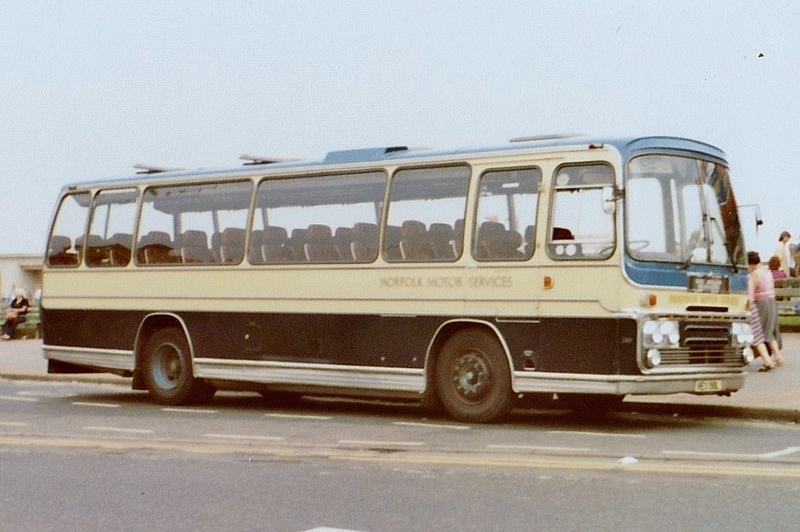 The 27 seater was new to A1A Travel of Birkenhead in September 2008. It passed to M&H Coaches of Trefant in June 2011 before being acquired by Our Bus.